Early October last year I found myself in between jobs with some savings in the bank and just over 2 weeks until my new role started. So, I did what anyone in their right mind would do and grabbed a crazy enough girlfriend and booked flights to Vietnam 4 days before flying out. We scrambled like crazy to get visa's sorted*, contacted people we knew over there, bought some new swimsuits (because, beach holiday) and were off. At the time, a spontaneous trip like this was exactly what I needed. All photos on this are just taken on the trusty iPhone. We wanted to keep bags and valuables to a minimum. Vietnam is an unbelievable place. I've lived in Japan and have traveled in Singapore, but I should have listened when people warned me about being prepared for south-east Asia. From the moment we stepped out of the airport the buzz hit us: thick humid air, smells of unidentifiable foods, loud foreign noises, and of course people. So many people. We were prepared and knew to negotiate the taxi fare into town before getting into the cab. Tip #1 If you're flying into Ho Chi Minh (formerly Saigon) and traveling into town, expect to pay no more than 150, 000 Dong. Yes, the currency took me about 2 weeks to get used to. Tip #2 Not just for airport fares but any time you're taking a cab, take a Mai Linh or Vinasun. Not all other companies are metered, and unless you find yourself travelling with a local, you're already paying a premium. In terms of accommodation, we generally booked through Agoda for everything. Because we were less than prepared and booked internal flights and hotels generally the night before flying out, this was ideal to get good last-minute deals. Because we were both a little burned out, this was he perfect time for us for a relaxing holiday. 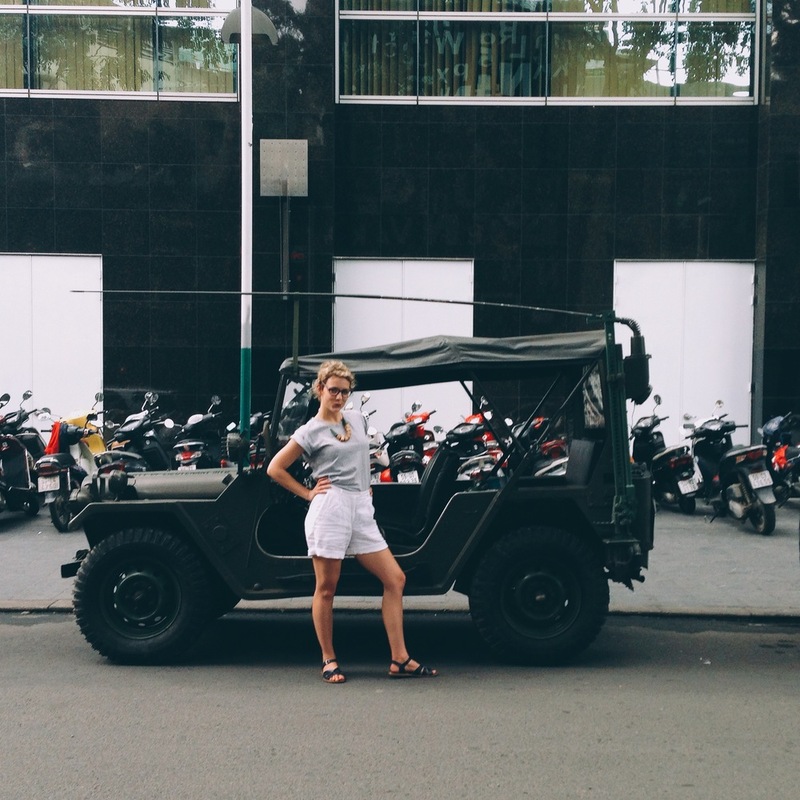 If you've ever been to a city like Ho Chi Minh, you'll know that relaxing situations are hard to come by. We were lucky to have had a good friend with a SWEET pool and gym at his apartment, which we made sure to spend an hour or so at before starting out most days. 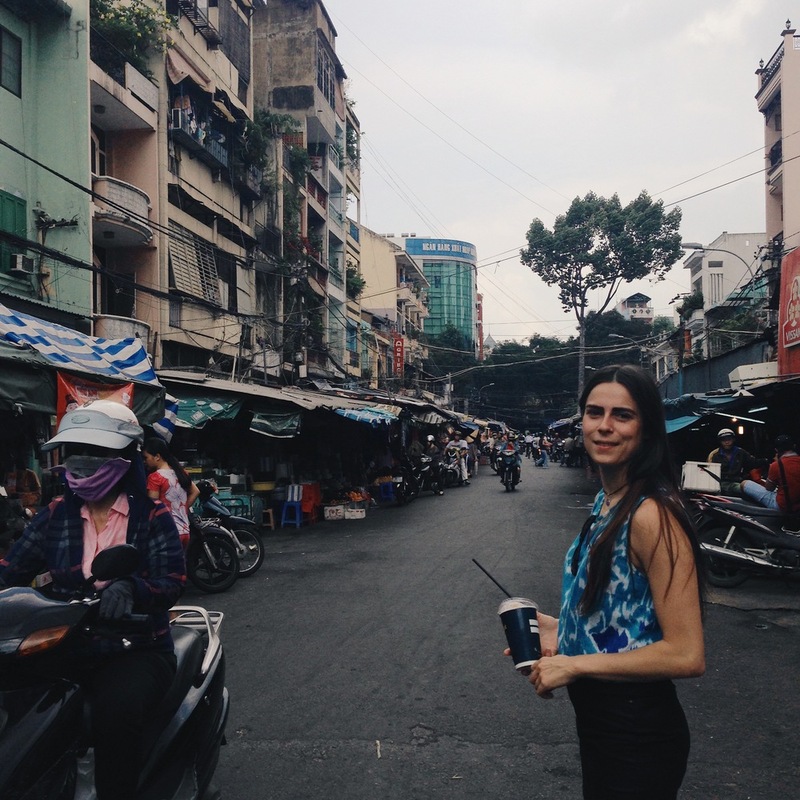 Our days in Ho Chi Minh were predominantly filled with scheduling our activities around eating and drinking Vietnamese iced coffee, Cà phê sữa đá. We visited different markets, the heart wrenching war museum and other touristy sites, and obvi ate about 8 times a day. Absolutely impeccable service, interesting and delicious composition of flavours and great atmosphere. 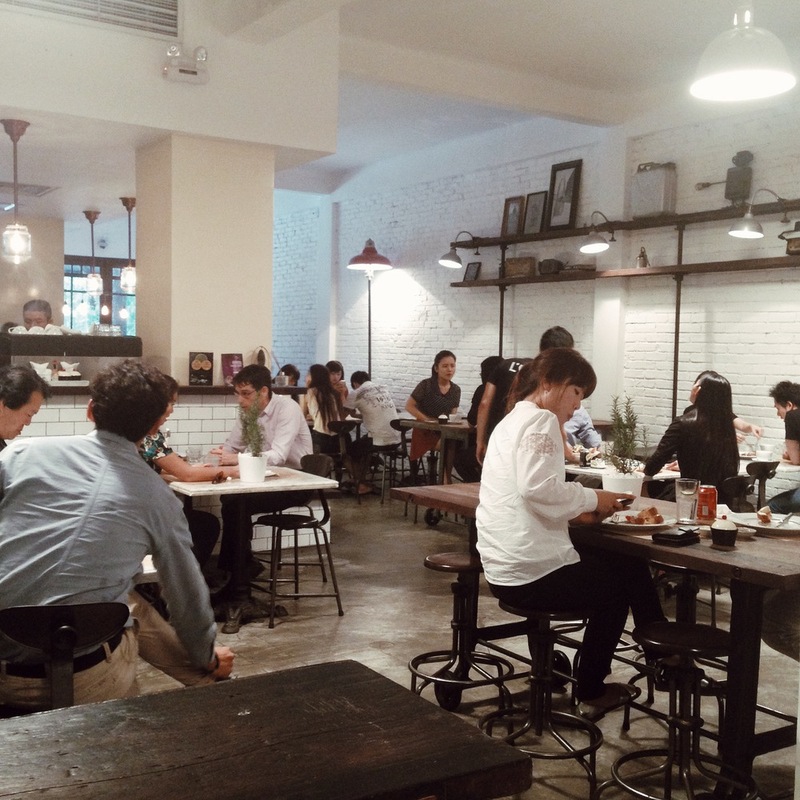 Mostly foreigners dining here, but definitely authentic for high class Vietnamese dining. In all honesty, and I've had a lot of great food in my life, this is in my top 3 food experiences ever. Here, I would probably advise to ask the waiters for suggestions as the menu is unreadable to non-Vietnamese and we were lucky to have some locals with us to order. It's exactly what you imagine it to be: low tables and sitting on tiny plastic chairs that look like they were made for children. And of course, plates and plates and plates of delicious, sometimes suspicious looking food that will BLOW YOUR MIND. I can't reiterate this enough. Scraps are discarded between your legs, under the table as you eat, and hands wiped now and then by the separately packaged wet wipes (which you will pay for. Note, this is a common custom all around Vietnam, and more often than not, they will show up on your bill). The waitress dressed in a Sapporo branded dress will frequent the table throughout the evening, making sure you always have a cold bottle at arms reach and your bill will come to about AU$10. We paid AU$12 because apparently we'd over-ordered, but no one was disappointed. Tip #4: At the start of meals at most places you will get some sort of snack. Check with wait staff whether that is included or you have to pay extra. It's not usually a lot, but definitely helps to ask. If, when we found this place, we hadn't been eating purely Vietnamese food for the last 2 weeks, we probably would have passed on this, but despite our appetites heavily embracing the local cuisine 8 times daily, bread and poached eggs were very welcomed. That said, the menu was still very Vietnamese, just not as traditional as most other places. The space in this half shop, half restaurant, is beautifully laid out, filled with hand-made furniture, and definitely gave us a very Melbourne-cafe feel. I know how that sounds. Picture white, exposed brick walls with lot's of wooden balustrade with an open plan layout. The downstairs shop part contained beautiful stationary, candles and clothing. Stuff there would be considered pretty expensive, if you've become used to local prices. I also wouldn't try to haggle. All up, really lovely feel and you temporarily feel like you've left hectic Saigon behind. Food prices were not at all like Melbourne's though, and instead of paying AU$18 for poached eggs with mushrooms and avo, you still only pay AU$6. And no extra for avo (hooray!)!!! This place had a super chill vibe, and was packed with young people, some travelers and students studying, drinking coffee. I could easily have settled in for a while, but we we keen to get back to the bustling streets. If you only visit one place on this list and even just have 15 minutes to spare, go here. This is by far the best location to see the city lit up at night. Considering we went on a Monday night and left in the early hours of the next morning, this place says alot about Ho Chi Minh'snight life: the people here love to party. There are indoor and outdoor spaces, and when it's not raining the outside bar, situated on a rooftop of one of the city's highest buildings, tends to be the most occupied. Prices are pretty high for local standards but the place has an amazing atmosphere, great DJ and super friendly service. This trip, for us, wasn't to tick things off a list, but there are plenty of other cultural things that are a must see, (the Cu Chi tunnels, Mekong Delta) Will definitely be going back to do the aforementioned and plenty more. I mentioned before that this trip, and the spontaneity of it, was just what we both needed at this time. That being said, I would definitely recommend being even a little bit more prepared than we were. We were so lucky to have a friend there to inform us of local customs and teach us how to cross a road in peak hour. *remember this if you go, to enter Vietnam you must have a visa, and you're best off organising it in your home country before flying out, to avoid any trouble upon arriving. As we learnt it is possible to get one in 24 hours, but will cost a lot more. 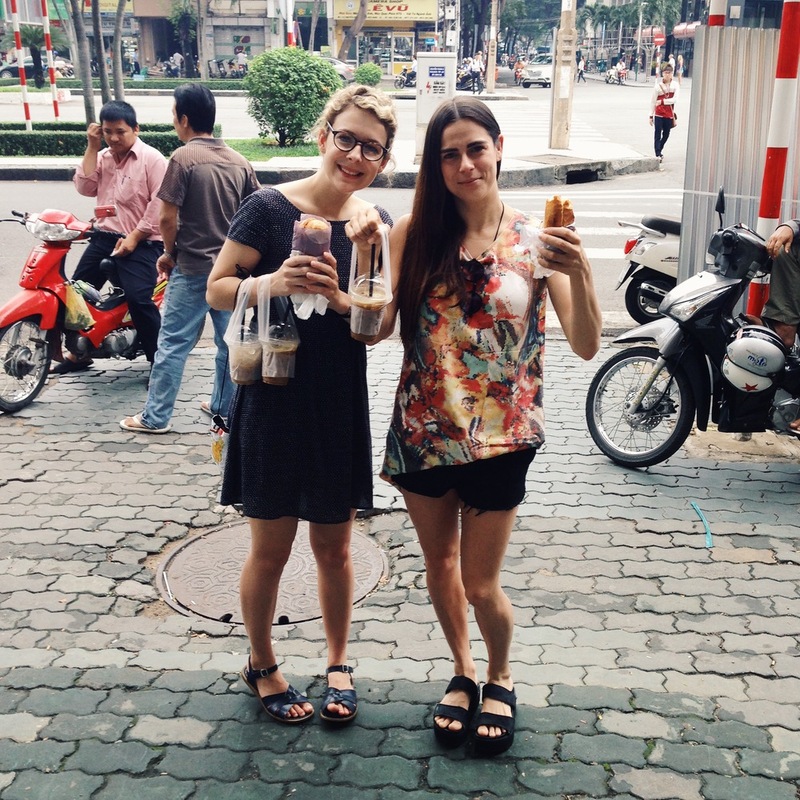 Like, at least 120 $1 Bahn Mi's worth more. I would love to know: Have you been to Vietnam? Did you go to any of the above places? What are your must-see's and do's (and most importantly) eat's?